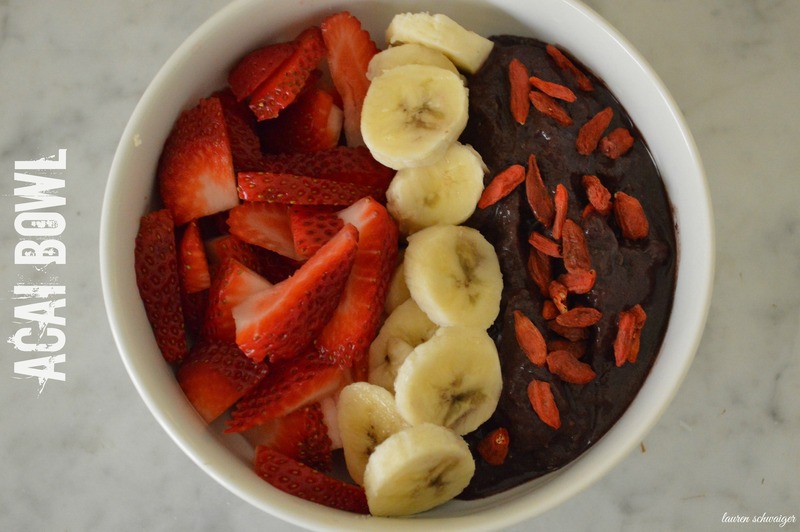 Rather than a green smoothie, I decided to mix thangs up this afternoon and throw together this yummy Acai Bowl. 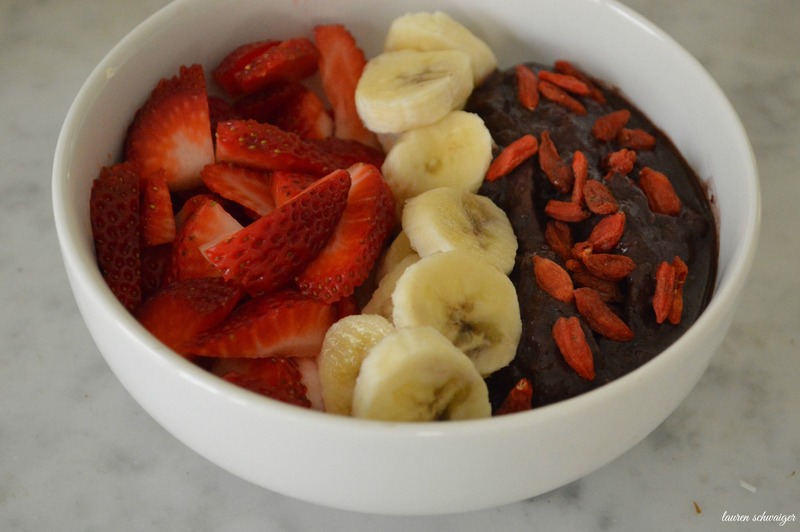 Loaded with superfoods & fresh fruit, this bowl is brimming with tons of health AND beautifying benefits! 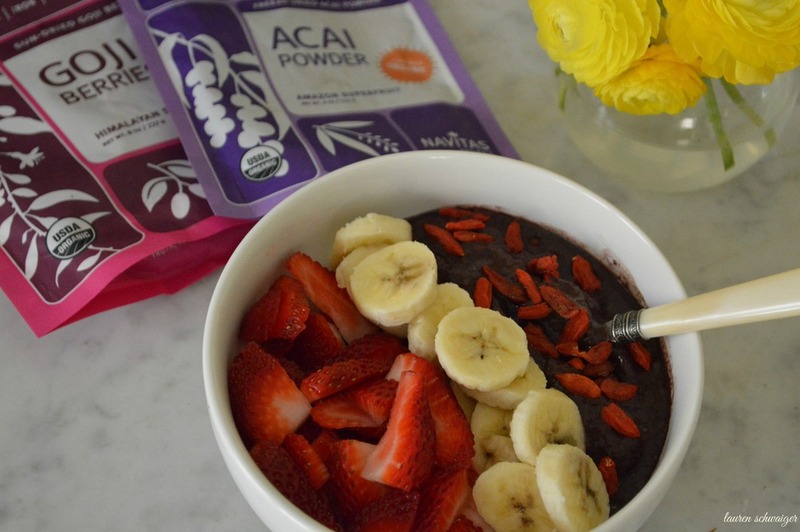 Acai powder is an ancient superfood & antioxidant originating from Brazil. This powerful berry is full of omega-3’s, vitamins, minerals & of course, antioxidants for beautiful, radiant skin. Next, Goji Berries..if you follow me on the reg, you know that these beauties pop up in my fruit bowls, smoothies & home made trail mixes on a near daily basis. I can’t get enough of these babies – Goji’s promote health, longevity & of course beauty. I wanted this so be ice cold + have a thick consistency so go easy on your choice of milk! Oh how I am glad to see this stuff go! 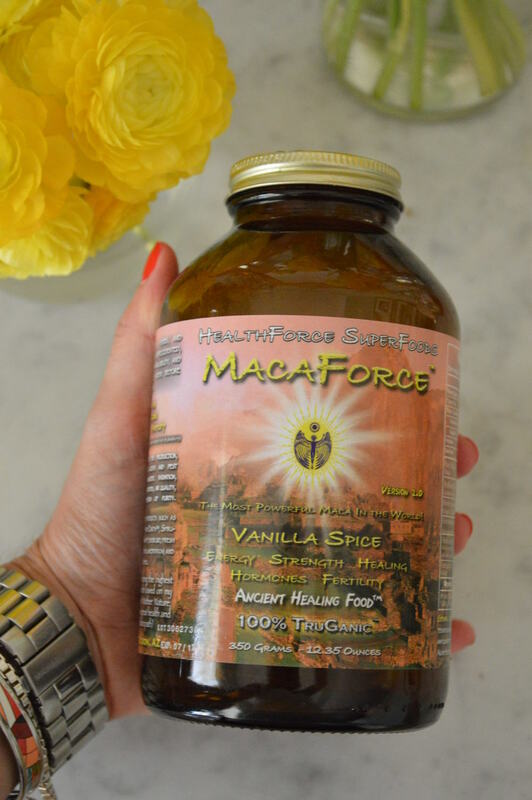 Against my better judgement, I tried a new type of Maca Powder and I will never get this again. Not because the powder itself isn’t good quality but because of the Vanilla Spice flavor. The flavor is too strong and overpowering whenever I use it. I will be returning back to my original and fave brand of Maca Powder by Navitas Naturals.